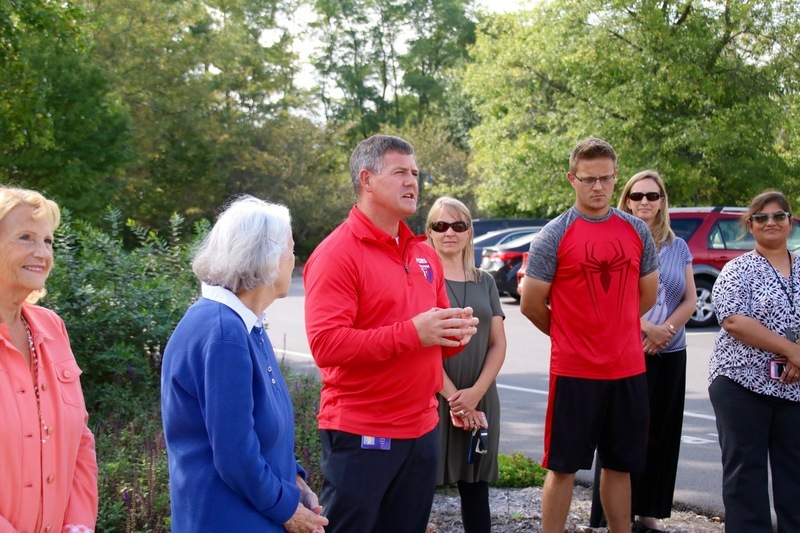 Earlier this evening, members of Plainfield @Rotary, representatives from the @TownOfPlainfield, and @PCSCQuakers, gathered at Friendship Gardens to honor Plainfield's 2018 Teacher of the Year Brad DeHoff. 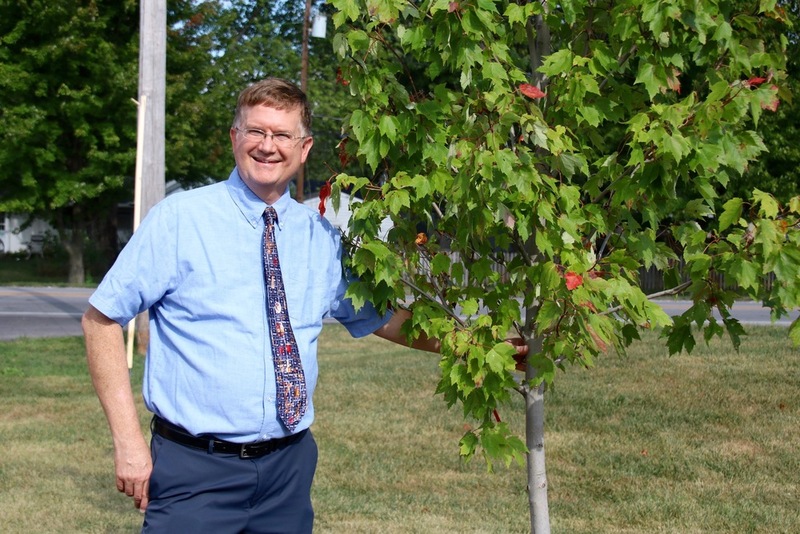 While DeHoff learned of his honor in the spring, the tree ceremony always takes place in the fall. 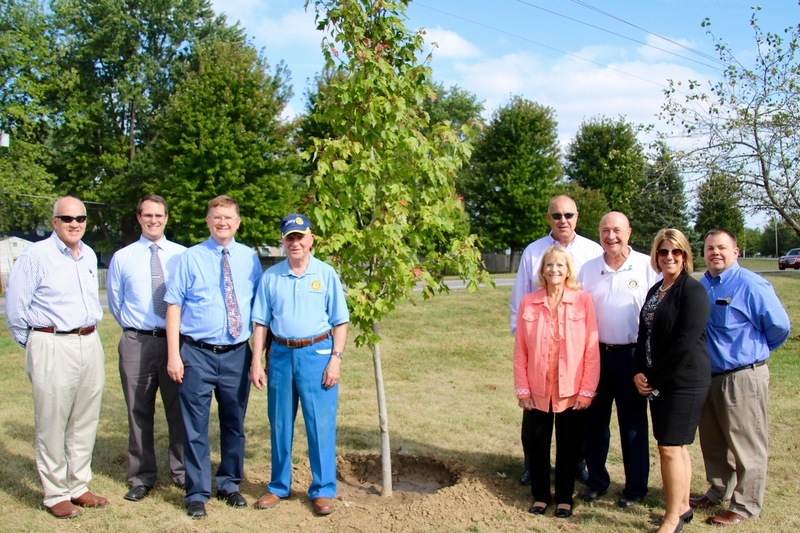 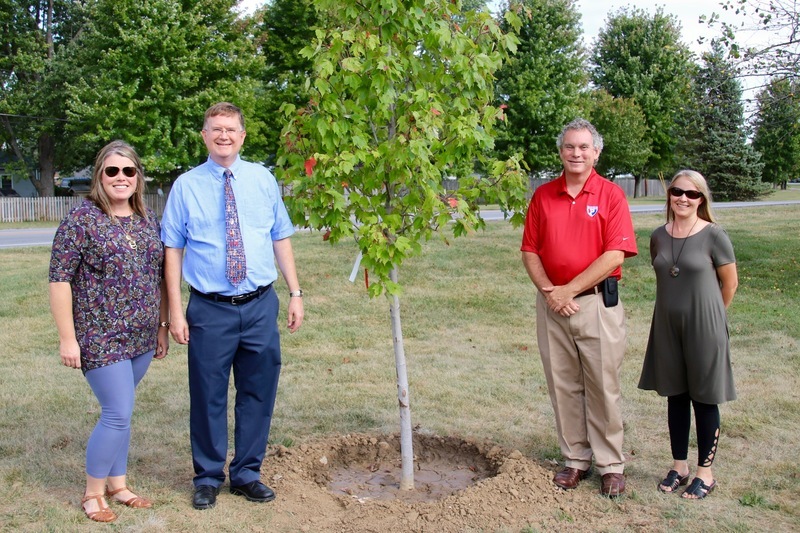 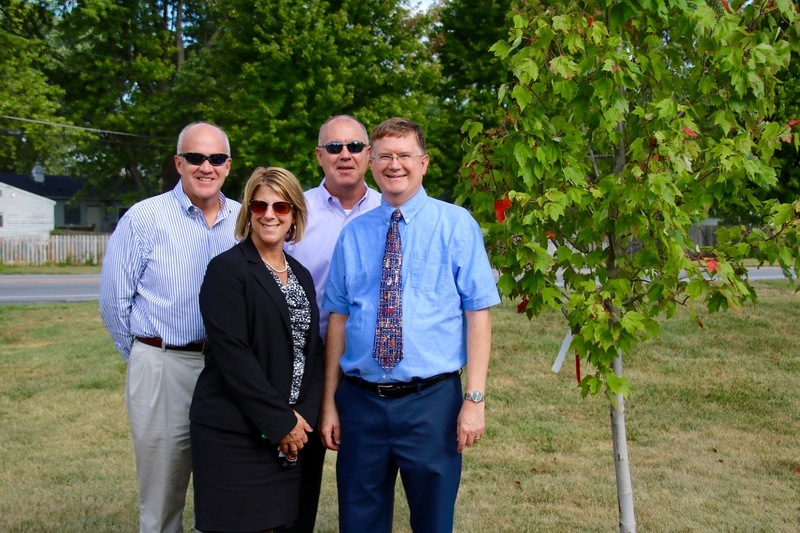 If you walk through Friendship Gardens, you may notice over 20 years worth of trees honoring outstanding educators in our community, with each tree donated by the local Rotary chapter. 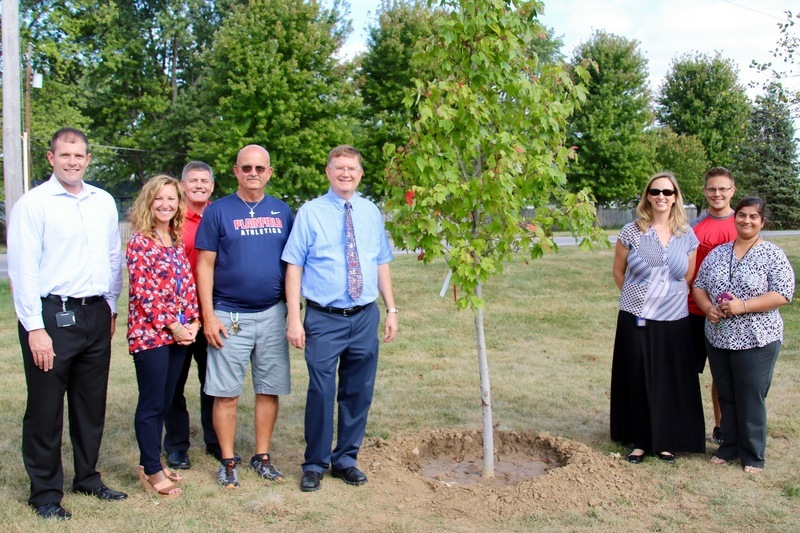 John Himmelheber facilitated the ceremony, which included remarks from officials of the town's Parks Department and school corporation. 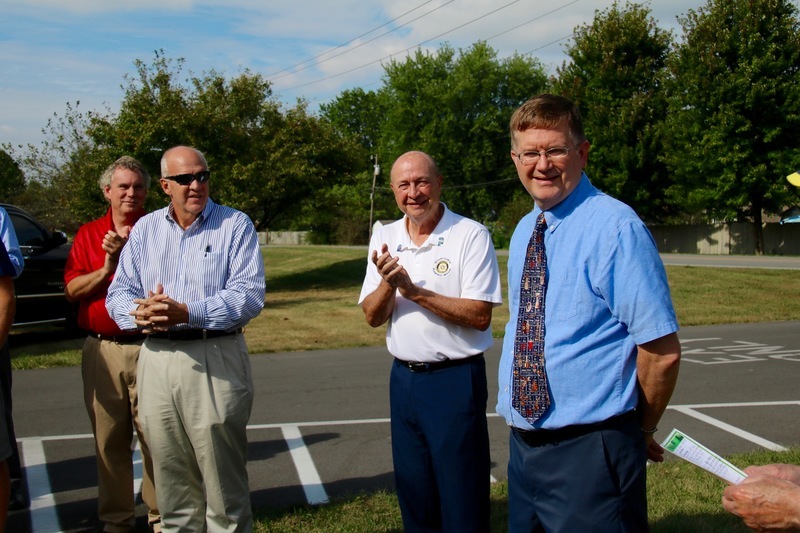 DeHoff offered comments himself, assuring everyone that his dedication, and devotion, to teaching is no less enthusiastic today than it was when he began. 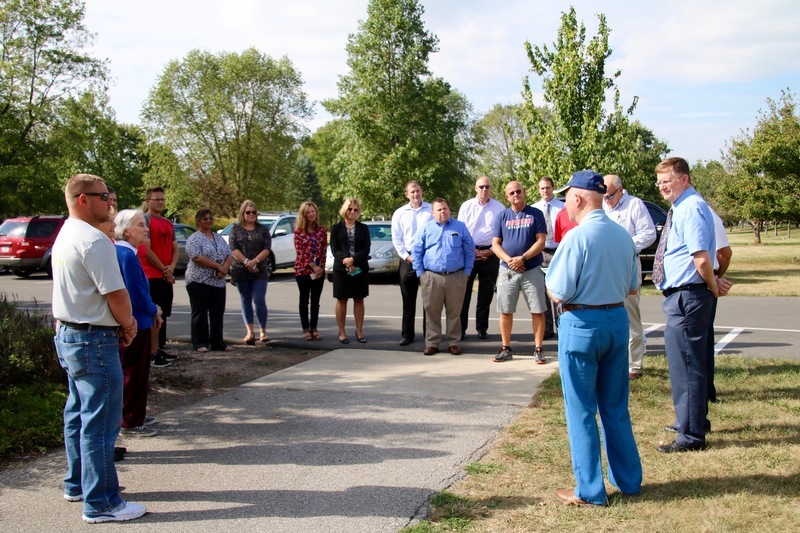 After taking many photos and visiting with everyone who came to honor and support him, DeHoff, as you might expect, returned to his classroom to prepare for tomorrow's lessons.